The story about Eskilstunas track. Here we are, happy, after a hard days work. What we have done you will now see. 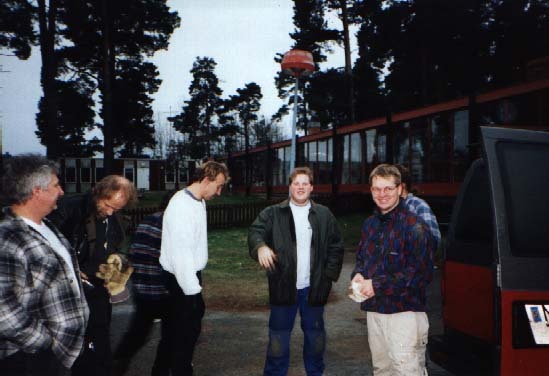 Okey, We are in Eskiltuna and the reason for that is that I was offered their track, batteries and furniture if I could move the track before the end of that year which were 1997. I talked with Lunkan and Roger who were involved in Scale DragRacing and who had a place were we could put the track. What they also had were a lot of friends that could help. 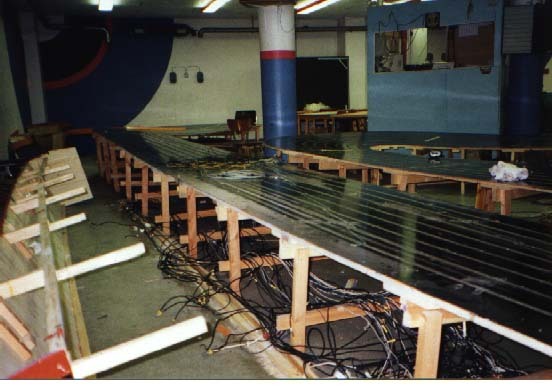 In this image we have just started to tear the track down. In this picture we have taken away the drivers console and are taking a look at the wiring. 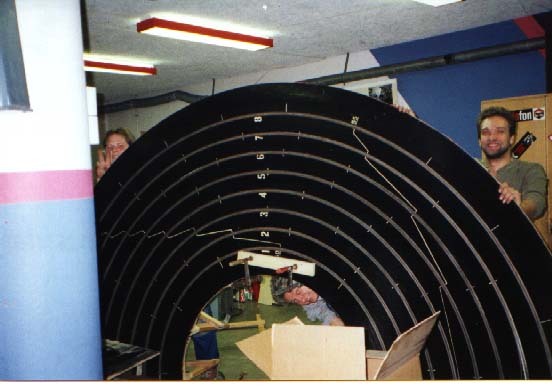 In the background you can see the race-directors booth which Mats Hummel and other enjoyed tearing down to pieces or rather smashing to small pieces. 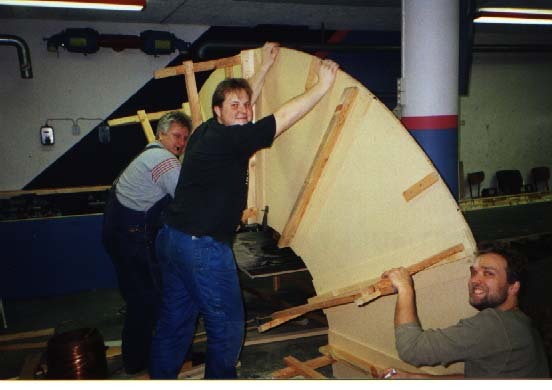 Micke Silén said, You will never succeed taking the bank apart, it will crack. 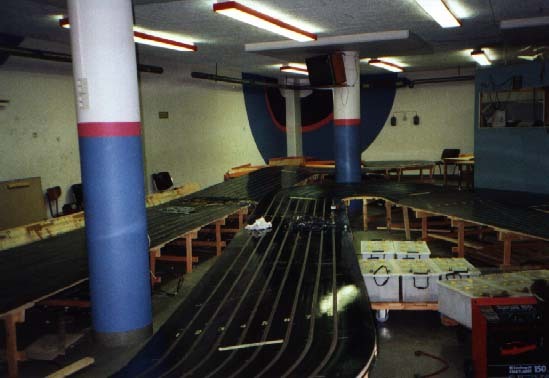 Even Per Persson, the track builder, warned us about the bank. Well, we managed and Micke Silén sneaked into this picture. At the floor Micke Becker and to the right Roger Fröberg. The bank from another angle. When we took the bank away we found some old, not connected batteries and a battery charger!